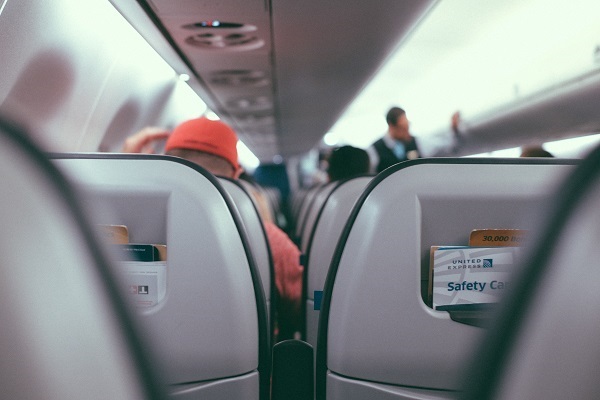 Some people can find it stressful with TSA airport security, so to ease the stress, I've put together a guide on TSA guidelines for diabetes supplies. Dealing with airport security is already stressful, but when you add in a medical condition, such as type 1 diabetes, it can feel even worse. 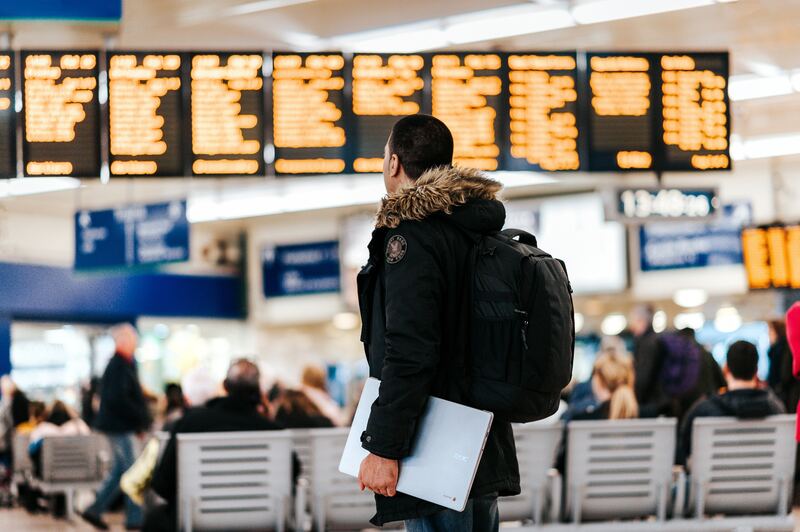 I’ve traveled through a wide variety of different airports, and I can honestly say I haven’t had any major issues abroad. 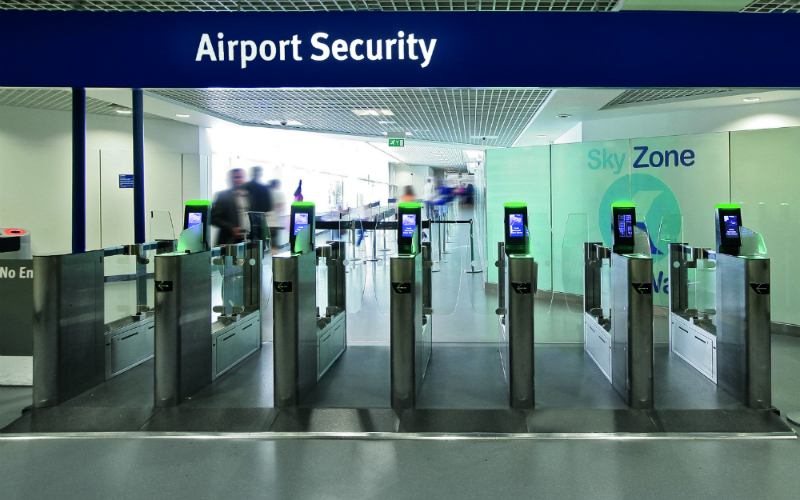 However, people often say they are fearful of the TSA as they are known for being strict. So, I thought I’d put together a little guide on how the TSA guidelines for diabetes supplies to help ease your mind. If it helps, I’ve been through and they were probably the nicest any staff at airport security has been to me. However, I’m aware there could be a lot of variation in this. This card can be downloaded and printed ahead of time and given to a transportation security officer to inform them of your type 1 diabetes. It can also inform them of the various medical supplies you will be carrying, or provide more detail on what medications/supplies you are carrying. This isn’t necessary, but it’s good for people who are nervous, don’t want to bring more attention to themselves, or simply don’t like to explain themselves (me haha). When you contact the TSA Cares, you are given individual support from someone who will provide assistance. This is a good idea as it gives the TSA an indication of the type of assistance you will need (if you need it.) This is great if your traveling with a type 1 diabetic child since they can only be patted down by a supervisor agent and if it’s a girl, she needs to be patted down by a girl, and the same for a boy. You can help save time by calling them in advance to ensure that someone is available. I believe the number is 1-855-787-2227. #3 What Medication Can I bring through? When it comes to TSA medication rules, it’s really not too complicated. According to the official TSA website, all diabetes-related equipment supplies, and mediation, including liquid, are allowed through the checkpoint once they have been screened. Basically this means you can put all your diabetes medication is one bag and put that through security x-ray. In the USA liquids need to be under 100 ml, but when you are traveling with insulin, you can have a separate liquids bag so you won’t need to take up valuable toiletries space. When I travel, I keep all my insulin in Frio Bags or other insulin travel cases and just simply send them through the x-ray like that. I’ve never been questioned over the insulin. I bring my Frio bag with me! There is often a lot of confusion around insulin pumps and their compatibility with the new body scanners often seen in airports. Most (if not all) insulin pump manufacturers suggest that you do not enter a body scanner with your insulin pump and opt for a body search instead, or alternative search (wand). This is true of Roche Pumps and Medtronic pumps. I spoke to Medtronic a couple of weeks and they reaffirmed my insulin pump questions. It’s basically a case of they don’t know what these machines could potentially do to your insulin pump, due to the tiny dose of radiation as they are specifically tested (since that requires lots of money). This is why they suggest you avoid it as in some cases, insulin pumps have malfunctioned after exposure. So it’s often better to be safe than sorry. Some people still opt to go into the body scanners, and that is your choice, but it’s important to be aware that IF you go into a body scanner WITH your insulin pump and it does cause problems, you will not be covered by your insurance and will be required to pay for a new one, or pay for it to be fixed. So that’s why it’s often best to avoid them. 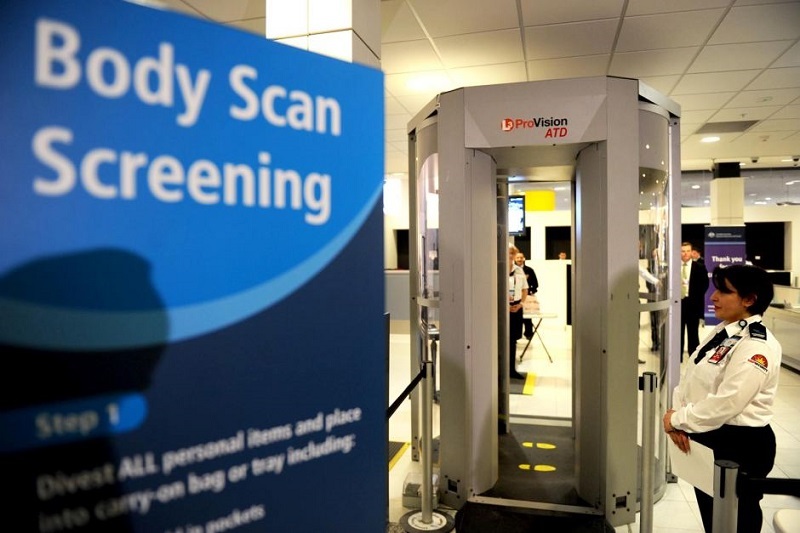 If you go into the body scanner, you need to remove your insulin pump, but remember it CANNOT under any circumstances go into the x-ray machine. It can be swabbed for explosives, but that’s pretty much it. The best way to ensure you don’t encounter any issues with the TSA is to carry a doctors letter or letter from your pump manufacturer (Medtronic provide them when you receive a new insulin pump in the box) (Roche you can download a letter online). The TSA states on their website that you are allowed to opt for a body search instead of a body scanner search. So don’t be afraid to say. When I said to my TSA officer that I had an insulin pump on, so would require an alternative search, he responded with, “Yup, No problem”. He asked me to sign a board that basically says who isn’t going through the scanners and he got me a lady who did a normal body search and she swabbed my insulin pump for explosives. No issues there. It’s the same information for CGM’s, companies have not yet been able to determine whether or not advanced imaging technology will interfere with your devices’ settings. Remember to allow for some extra time for extra checks on your products, and it may be worth your time to sign up for the TSA Pre-Check since you don’t have to remove liquids with pre-approval. You can carry insulin needles and blood glucose monitors without problems. If you wish, you can carry a prescription confirming that they are yours. 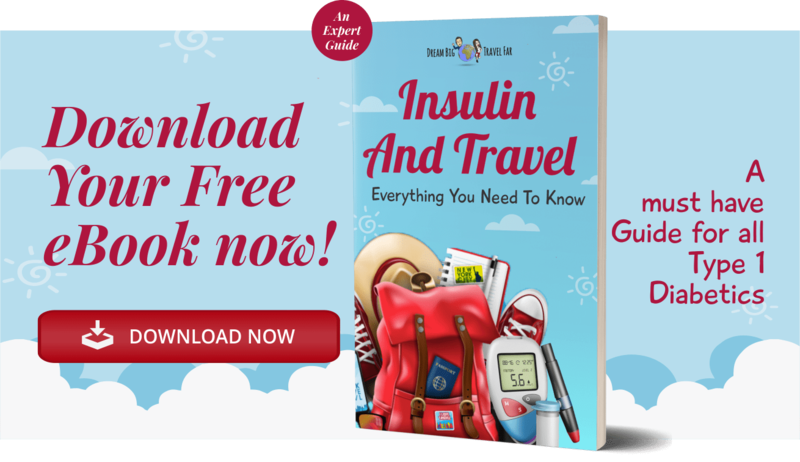 Don’t forget that insulin NEEDS to go in your hand-baggage. If your insulin goes into the hold luggage, it’s going to freeze and you could lose it. So it’s best to carry it in your hand luggage. TSA carry on items allows diabetics to bring quick sugar in liquid or gel form for the treatment of hypoglycemia, even if they are greater than 3.4 ounces. Don’t be afraid to let a TSA officer know if your blood sugar is dropping, being examined. They will give you a moment to recover then conduct the search when you are ready. They may ask you to wait in a room to give you privacy, but it’ll typically be up to you. Just remember that you're not the first diabetic to travel with the TSA and diabetes, and you certainly won’t be the last! So, just be confident and calm, and you’ll breeze through the airport security. So there you have it, the TSA guidelines for diabetes supplies. I hope this post helps you feel less stress and anxiety when it comes to going through airport security with diabetes in the US and Canada. 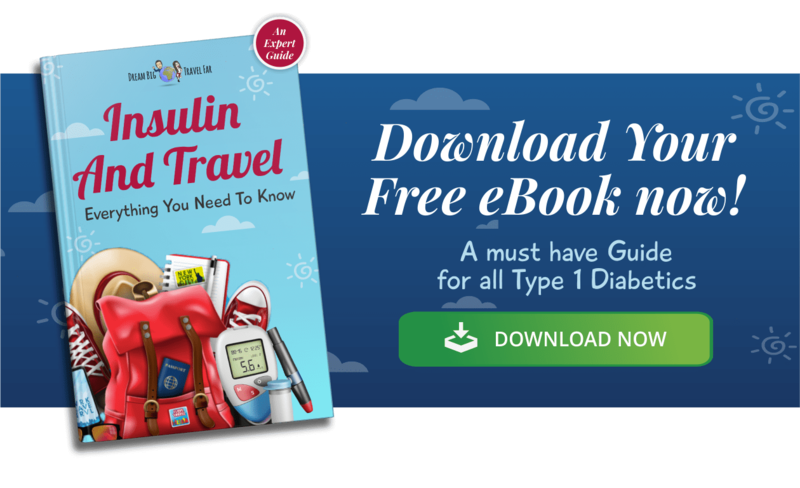 Comment below with your experiences with the TSA and if you want more information on tips for flying with diabetes, then download the eBook today! 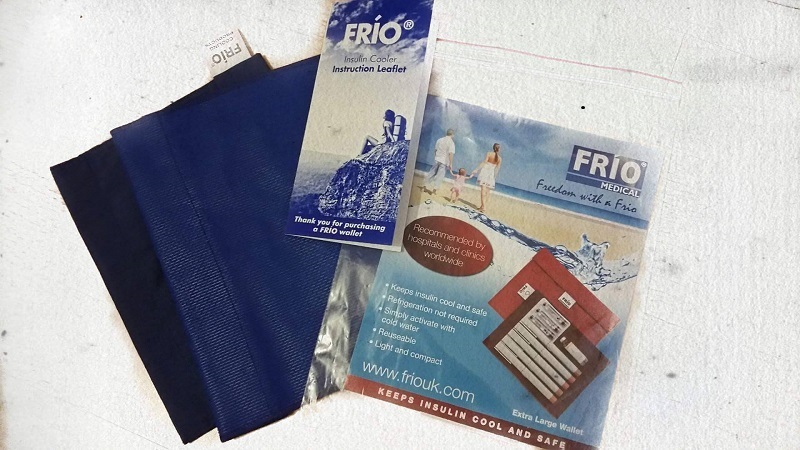 Feel prepared for summer with a discount on Frio bags to keep your insulin cool, alongside exclusive discounts on MedAngel, Mysugarcase, pimpmydiabetes, Rockadex and many more!